The OS is Xubuntu 13.10 in the 64-bit flavor, mostly for UI & infrastructure consistency with my other boxes. The Ubuntu project continues to diverge from consensus reality and the process of fighting down the Special Ubuntu Sauce seems increasingly difficult and less rewarding. This may be the last box I set up with Xubuntu, although I’m not sure what else to use; Arch requires more fiddly sysadmin-fu than I’m willing to allocate and Ubuntu-based distros like Mint seem to have all the disadvantage of Ubuntu plus the difficulties of splinter distros. With two cores and HyperThreading turned on, it has enough moxie to run one instance of the GIMPS prime factoring code without crippling the UI. The estimated completion date for the current work is 9 July 2014, which should creep closer as the CPU sees more uptime. The previous crontab startup continues to work. It adds about 25 W to the baseline 50 W consumption. Adobe has abandoned Adobe Reader for Linux and attempting to install the most recent version of 9.whatever produces a blizzard of warnings. I’ll try Okular and Evince, although both have problems with some PDFs that Reader handles with aplomb. Eliminating the security exposures in Reader should be a net win. This Optiplex 980 has two built-in video connectors (DisplayPort and VGA) that work with the Free Software drivers. 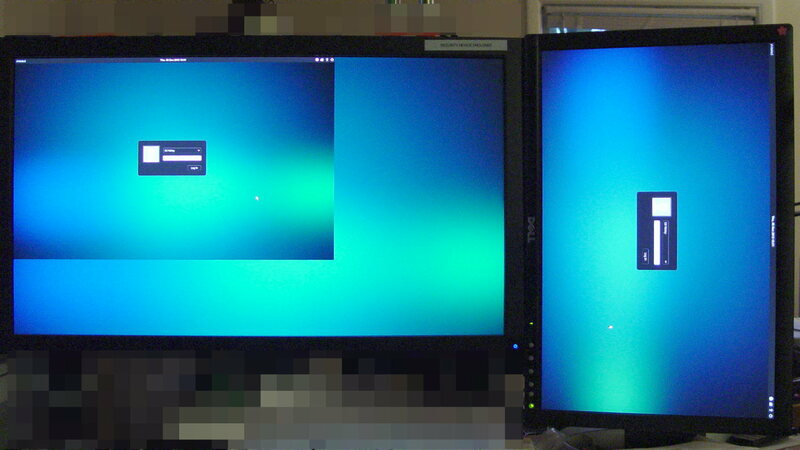 After some fumbling around, the XFCE Display configuration utility positioned and rotated the landscape and portrait monitors as I wanted them. Running the 1680×1050 display with analog VGA signals produces a noticeably less crisp result, but it’s on the OK side of Good Enough. Option          "ButtonMapping" "3 8 1 4 5 6 7 2"
The default audio stream goes through DisplayPort and comes out of the monitor’s audio jack, which took an embarassingly long time to discover. 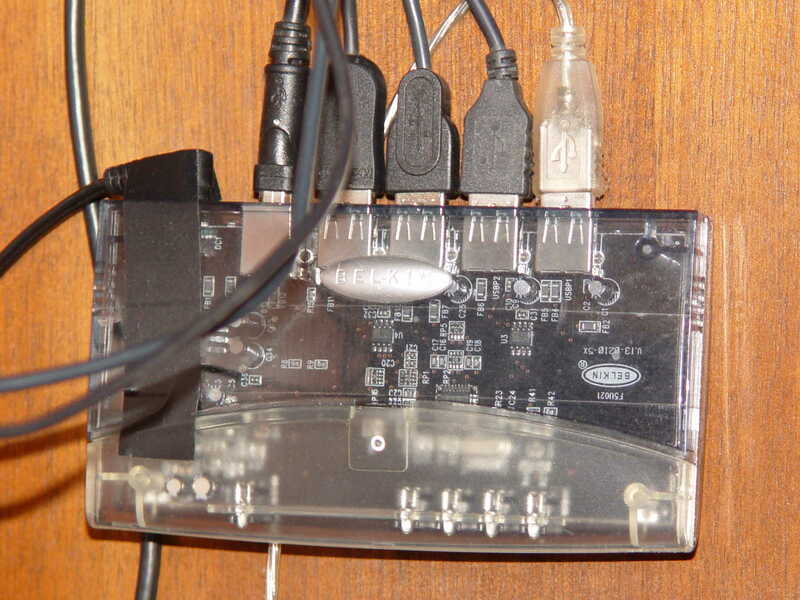 As nearly as I can tell, there is no way to enable the internal audio in addition to the DisplayPort channel; putzing with pavucontrol and alsamixer was unproductive. The “indicator applet” sound control seems to be irrecoverably broken, for reasons having to do with the change from GTK2 to GTK3 (or something like that); the suggested workaround do not work for this system. Unfortunately, XFCE allows exactly one mixer applet in the panel, which will pose a problem with the USB headset I use for phone calls. The vast Pachinko machine that is the current Ubuntu startup process has slightly different timing, so the simpleminded scheme I used to get the NFS share mounted before the UI starts up doesn’t quite work; signing in a few seconds after the greeter pops up seems to do the trick. I think having the local.conf routine emit a unique signal after mounting the NFS shares, then having the lightdm.conf routine wait for that signal, might just do the trick. More research is needed. Of course, a release or two ago the tried-and-true network interface names changed, for well and good reason, but … OK, I can use em1 instead of eth0, although I sure hope that’s not a random outcome. The hub concentrates the desktop peripherals (keyboard, two trackballs, and the tablet), so it doesn’t need high-speed throughput or responsiveness.